Wellfit Girls, a Southwest Florida nonprofit organization dedicated to empowering teen girls, will host an exclusive speaking engagement and book signing on Monday, March 26 at Venue Naples with national teen advocate and author Chessy Prout, a former Naples resident, along with co-author Jenn Abelson, an investigative reporter for the Boston Globe’s Spotlight Team. At 7 p.m., Prout will share her inspiring story following the traumatic aftermath of her sexual assault at a prestigious New Hampshire boarding school. Recognized as among those who planted the seeds for the #MeToo movement when she came forward in her pursuit of justice, Prout’s book, I Have the Right To: A High School Survivor’s Story of Sexual Assault, Justice, and Hope, is available March 6. Together, 0she and Abelson return to Naples for the first time since they wrote the memoir here, to share Prout’s message of hope, letting survivors know they are not alone. Proceeds from ticket sales will benefit Wellfit Girls’ five-month fitness, leadership and empowerment program dedicated to inspiring, challenging and empowering teen girls to climb high in all areas of life through transformational leadership programs. In August of 2015, Prout bravely revealed her identity on NBC’s Today Show and became a national advocate for sexual assault survivors while still in high school at the Community School of Naples, where she graduated in 2017. Prout has received several awards for her advocacy, including from the international organization Together for Girls, named “16 Heroes for 2016” and “Hero of the Week, 2017.” She will be New Hampshire Congresswoman Ann Kuster’s honored guest at the State of the Union 2018, and also will receive the Survivor Courage Award from SurvJustice in Washington, D.C. in April. General admission tickets are $50 for the speaking event at 7 p.m., with ticket sales ending March 25. Before the event, Wellfit Girls will also host a VIP cocktail reception catered by CRAVE Culinaire and a meet and greet with Prout and Abelson. VIP tickets for ages 16 and up are $150 and include admission to the main speaking event and the VIP cocktail reception from 5:30 to 6:30 p.m. VIP ticket sales end March 23. Registration is available online at www.WellfitGirls.org. Sponsorship opportunities for the Wellfit Girls event are still available, including the Change the World sponsor level at $5,000, Create a Movement sponsor level at $2,500 and Make a Difference sponsor level at $1,000. Sponsors include Gulfshore Life, Priority Marketing, Tacos & Tequila and Venue Naples as Change the World sponsors, Jason’s Deli as a Create a Movement sponsor, and DeAngelis Diamond as a Make a Difference sponsor. To learn more about sponsorship opportunities, please contact Wellfit Girls Program Coordinator Rio DeArmond at rio@wellfitgirls.org. To learn more about Wellfit Girls and the upcoming event, visit www.WellfitGirls.org. Chessy Prout is a high school sexual assault survivor. Raised in Japan, Chessy matriculated to St. Paul’s School – a boarding school in New Hampshire that her father and sister had attended. There, as a freshman, Chessy was the victim of a sexual assault. Chessy’s case and trial garnered national and international media attention, as her assault was part of the ritual competition at the school called “Senior Salute.” Two years later, in Chessy’s pursuit of justice, she decided to step forward publicly. In August 2016 she launched the #IHaveTheRightTo initiative with the organization PAVE, for which she is an ambassador. As a PAVE ambassador, Chessy has traveled around the country to speak about the importance of consent education in K-12 schools; encourages survivors and others to assert their most important, basic rights; and uses her voice to let other survivors know they are not alone. Chessy graduated from the Community School of Naples in 2017. Chessy is the author of I Have The Right To: A High School Survivor’s Story of Sexual Assault, Justice, and Hope, which she wrote with co-author Jenn Abelson. Jenn Abelson is an investigative reporter for the Boston Globe Spotlight Team and co-writer of the memoir, I Have the Right To: A High School Survivor’s Story of Sexual Assault, Justice and Hope, by Chessy Prout. Jenn has worked as a reporter at the Boston Globe for 15 years. Her investigations have exposed sexual assault at prep schools in New England, doctors secretly performing two surgeries at the same time, and the widespread mislabeling of fish in the restaurant industry. In 2015, she was named a Pulitzer Prize finalist for her work with the Spotlight Team on “Shadow Campus,” a series about dangerous off-campus college housing. Jenn grew up in New York, attended Cornell University, and lives in Boston. 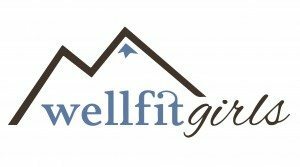 Wellfit Girls is a 501(c)(3) nonprofit based in Southwest Florida. The mission of Wellfit Girls is to inspire, challenge and empower teen girls to climb high in all areas of life through transformational leadership programs. A United Way partner, Wellfit Girls was founded by Jill Wheeler to inspire teen girls to climb high in all areas of life, and provides a unique and meaningful five-month leadership, fitness and empowerment program specifically designed to empower teen girls to believe they can do anything. The program concludes with a life-changing expedition to Peru and trek to Machu Picchu. The Wellfit Girls curriculum guides girls through a combination of physical, mental and interpersonal challenges designed to prepare them for the final expedition to Peru, as well as the rest of their lives, with a goal to inspire and empower each girl while nurturing and developing each girl’s individual leadership style. To learn more, call 239-529-0366 or visit www.WellfitGirls.org.